If you could begin you full time job at 7:30 a.m. and be completed for the day by 11:00, wouldn't that be a great job? American author, Catherine Coulter has her dream job with just that schedule. She begins every morning at 6:30 a.m. checking and answering her emails, and begins writing at 7:30 a.m. After writing her quota for the day, she finishes at 11:00! 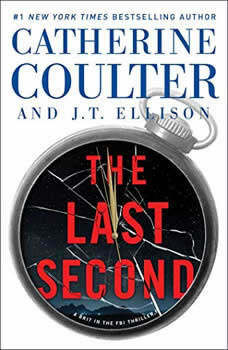 Coulter usually plans to write one suspense novel and one historical romance novel each year. Coulter began her career as a speech writer for an executive on Wall Street while her husband was a medical student. She did a lot of reading herself to fill her time as he studied or was on duty. During one particular reading episode, she got so aggravated by the lack of good writing in the book she was reading, that she threw it across the room. As she did this, she yelled, I could do so much better than that! Her husband said, then go ahead, prove it! Thus began a career that has led her to writing over fifty books, with 42 consecutive novels on the New York Times best seller list. Among them: The Cove, The Maze, The Target, The Edge, Riptide, Knockout, Hemlock Bay, Blindside, and many others in her suspense thriller series. Coulter currently resides in Marin County, California just across the Golden Gate Bridge, with her husband and their three cats. They enjoy travel, skiing, and she is still a very avid reader.